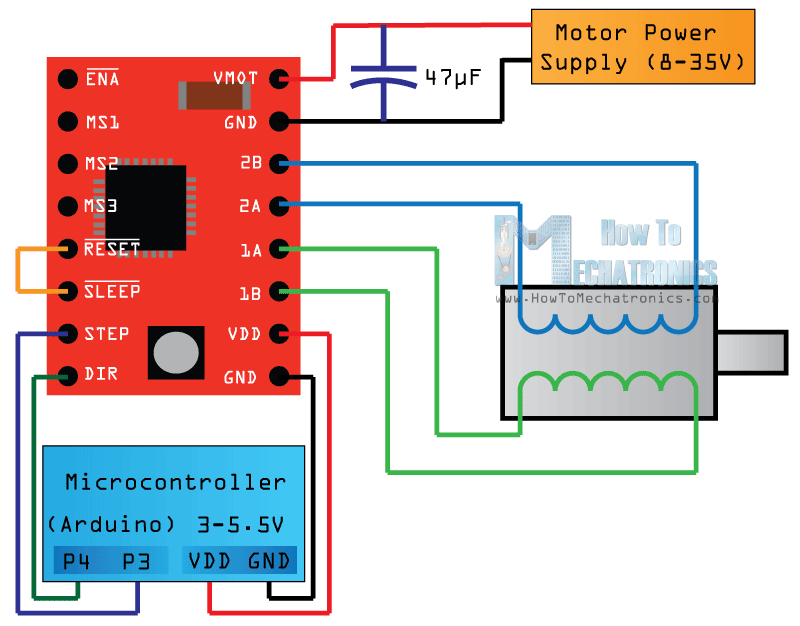 I'm driving a stepper rated at 5V/1.7A using an A4988-based driver circuit with a 12V power supply. An Arduino controls the stepping sequence. Vref = I * (8 x Rs) (where Rs is 0.1 ohm on this particular board and confirmed with meter). So, Vref should be (1.7A x .8) or 1.36V to drive 1.7amps. The problem is, I cannot adjust the A4988 to get Vref up that high. With the adjustment pot full swing, the best I can get is .9 to 1V. When I energize and hold the motor and use an amp meter, the coil is drawing about .9 amps -- which is still less than the 70% of 1.7 Amps I would like (using full-step mode). Is Vref potential limited by the input voltage of 12 volts? Is there something else I'm missing? Browse other questions tagged stepper a4988 or ask your own question. How to pull a pin low?